The egos control over us is evident. The present environment in the world reflects this in more ways than one, extreme expressions in religion and materialism are but two examples of the control the ego has over us. Within this control, we can see how destructive a controlling the ego can be, in actuality, we are privileged to witness this event in human history. Within the whisperings, an ego that is wised up only needs to be whispered to, not shouted at. Simply, expressions of extremism denote shouting while whisperings denote an awareness and wisdom. Some of us have listened to the whisperings, a lot of us will only listen when shouted at, this is simply shown within the extreme expressions being expressed today. In the end, the shouting will get that loud, and of course destructive, to the point most people will be unable to ignore the shouting, they will be given no choice at this point. Where indeed has the wisdom gone when a consciousness needs to be shouted at to become aware? We are privileged to be shouted at in this way, imagine not being able to hear a whisper or a shout to awaken the ego to itself, is it possible that the ego can actually get to this point? Honestly observing our environment today, it is obvious certain people will never listen no matter how loud the shouting becomes, and yes, the ego has this extent of control over them. A controlling ego gives us a sense of control over our environment, even though this control is always fleeting. How many empires of the past still dominate us today? Yes, the controlling factors of the ego are still around today but the empires themselves aren't. Nothing that the ego creates lasts for long; the only reason the controlling factors of the ego are still around today, is because we have not yet learnt how to release ourselves from this control. Wisdom; simply does not come from knowledge and experience, this is an ego perception. Considering how deceptive the ego can become, it's amazing that many of us are still duped (tricked) by the ego in this way. How many centuries have human consciousness been warring or expressing extremes? Has human consciousness learnt and become wise from these numerous experiences? Human consciousness is seemingly more intelligent and knowledgeable than ever, how wise has this truly made us? How many people think wisdom and awareness are about taking control? Probably the same amount of people who think meditation or various other Eastern practices are about taking control. Eastern practices, like mediation, are simply about releasing yourself from the control of the ego mind. As soon as we think these practices are about taking control, we have lost the true benefits of these practices because the ego is just as much if not more in control. All controlling expressions denote an ego in control, especially if we are trying to control the ego. At no point should you try to control the ego to diminish the egos control over us, by doing so, you are doing anything but diminishing the egos control. Wisdom uses the ego against itself as all motion denotes ego, including practices like meditation. Yes, meditation is a motion that can take away the controlling factors of the ego upon itself, in-effect, using the ego against itself. The only reason this works is that we are using a non-controlling ego to diminish the control of the ego upon itself. It's funny to think this but the ego can only control itself, basically, only of things of motion, sadly for a lot of people in the West; this includes using mediation to take control instead of releasing control. How many people in the West think that Taoism or Tai Chi is about taking control of our mind and/or body? It's all about releasing our mind and body from the limitations of control that allow you to be more flexible and open in mind and body. In the West, we tend to think everything is about taking control; this is the way Western culture is, it's wise to be aware of this in my mind. How many people in the West fear expressing the ego or egotism? They fear the ego because they are still trying to take control of the ego having control over them, which is in actuality the ego trying to take control. It is truly wise to be aware that only a controlling ego can take control, being that all motion is of the ego, this makes perfect sense to people like me. Simply, if you are expressing any kind of motion, you are of the ego, however, you don't have to be of the controlling ego. 3/ Wisdom is simply aware of the controlling ways of the ego as only in wisdom can the ego diminish the control of the ego. Do we not take control of our breathing while meditating for example? Are we not trained by teachers of the ancient Eastern practices to take control of the mind and body as a whole? No, your ego is simply being conditioned to focus on one thing at a time. Your ego is not being controlled to focus but conditioned to focus. Because the ego tries to control everything within it's own environment, it is conditioned to simultaneously focus on many things. Focusing on the breath, to controlling the breath, allows us to take away the control of the ego over itself. Basically what you are doing is setting the ego free of it's limitations by focusing instead of controlling. Never try to control your breath while meditating, simply focus. Once you have conditioned your ego to focus on one thing while letting go of control of everything else, you will notice that your breathing patterns will change quite naturally. The ego will fight to the bitter end to keep it's control, this is why everything that isn't about control is perceived to be of control by the ego in control. You now and again, through the passage of life, come across people who are deeply reflective, a bloke I have known for some time now of the name of Michael Hopkins is but one of these people. Mike's poems seem to reflect an awareness beyond the control of the controlling ego expressions. To an ego in control, Mike's poems would seem non-sequential rhetoric to the ego mind, very simular to my own reflections. As of any experience in the offering, the ego in control usually misses out in these experiences that are on offer. This kind of awareness and subsequent experiences that are beyond the expressions of a controlling ego, is often taken to be egotistic by the ego mind. It's amazing how the ego mind stops us from experiencing the true reality of life, in turn, stopping our mind from becoming aware beyond the ego mind. When you go beyond the ego mind, there is simply no misery mainly because there is no separation, only in separation (unawareness) can a consciousness suffer within it's own misery. Very good point Mike, how could a true sense of love become aware to the ego mind? It's been there recently for me to write about how the ego mind isn't aware of all it experiences. How often does a child's ego mind, especially in adolescence, refute the full existence of their parents love and affection? They are often quite unaware, especially when the parent/parents are in a teaching mode, in other words preparing the child for adulthood trials and tribulations. How often is the macho ego mind of an adult not fully aware of their partner's full love, affections and feelings? How aware is an egoistic female? My wife or I make a mess in the house; it matters not who cleans it up because it's always our mess. A true sense of love is binding, a false sense of love is separating. Love and light is a prime example of this separation from dark, of course the dark is only as negative as the light perceives. In a lot of couple's relationships, a mess made by the other partner is seen as a negative so they don't clean it up or clean it up under protest. 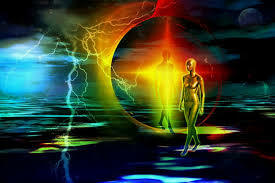 My wife and I have a neutral existence/relationship, everything is neutral with no separation of negative or positive, dark and light, within this, we become aware of the experiences beyond the egos control. These experiences are there but the ego mind either doesn't become aware of them or turns them it something the ego mind relates to. The ego mind is seemingly unable to comprehend anything it can't relate to so these experiences are either not noticed or they are turned into something the ego relates to. In this sense of turning an experience into something the ego can relate to is of deception. We all experience so much, especially the experiences that are not picked up through the five senses. People like you and I are very lucky Mike. Indeed we are Mat. Makes living in the world a bit easy to have some slight distance from the dictates of ego. Happy weekend Mat and same to your dear wife. If you don't mind Mike, I'm going to insert your reflection here on my post. You are a very in-depth and reflective person Mike, I am very lucky to have crossed your path in life. Are people like Mike and I egoistic in the way we express ourselves within our writings? To express an awareness is ego but not necessarily of a controlling ego, in actuality, a controlling ego is anything but aware, for all a controlling ego can comprehend is ego. This basically means a controlling ego is only aware of it's own reflections, anything beyond these reflections just simply doesn't exist to the ego. This simply means that anything that the ego is aware of, like what people like Mike and I write about, has to be egoistic. The ego needs ego to make itself aware of itself. Seen as all motion denotes ego, this includes writings based in inner reflections. It's difficult to avoid this and at no time should this be avoided. "A controlling ego desires to stay ignorant, for it is only of itself and about itself, nothing else exists to the ego in control". Used correctly, the ego can be exceptionally enlightening, however, this can only occur if it doesn't judge it's own ego self as something to avoid and detest, basically, have fear upon it's own reflections. Try making the ego aware of itself through non-egoistic reflections; it simply will not occur as the ego is unaware of anything not of itself. The ego needs ego reflections to become aware of itself; it's this simple. Again, the ego used correctly is exceptionally enlightening to the ego mind, only can this occur though when the ego is not in control of the mind. My wife and I have a female garden nursery owner in awe. I'm usually jovial and I joke around a lot, especially in relation to my wife. This alone has this lady in awe, sadly, it would seem this lady has experienced very little of this from her partner/partners in her life. When my wife mentioned about how I cook, wash and wipe the dishes, clean the house, this lady was even more in awe. I don't think we will mention about how I iron my own clothes and make the bed every morning, etc. To someone who is macho (egocentric), I am completely under the thumb, meaning, being under my wife's control, however, all I am doing is existing in a neutral existence with my wife. The ego in control simply can't comprehend this, there has to be a form of control, not of releasing control. It's simply amazing how the ego in control stops us from experiencing the things in life that are enlightening and working in harmony together as one, I suppose after all, the ego in control is anything but aware of anything that is not of itself!! It's all very simple, strip away the controlling ways of the ego and all you are left with is pure awareness and wisdom, a state known by many as oneness, zero point, God or what ever, it's all of the same state void of the influences of a controlling ego. For numerous people, the ego calls this state God for a very good reason, how else within an ego controlled reality could the ego comprehend this state of pure awareness and wisdom, a state of complete neutrality, without blowing this state out of all proportion? The ego justifiably and wisely keeps a connection to this state by doing what the ego does best, inflates everything so it is able to comprehend this state of neutrality, the problem with the ego is when it becomes in total control. When this occurs, any connection or awareness to this neutral state becomes obscured or even unknown. This is atheism at its best but it's not Buddhist atheism, to my knowledge anyway. Buddhist atheism; simply means there is no inflation or pretentiousness in regards to this neutral state, there is no higher or lower state either even of consciousness, there is simply ego and non-ego, aware and not aware. On the other hand, main stream atheism simply refutes anything not of science and/or of the five senses. Giving that science and the five senses are of pure ego, it's understandable why there are fundamental differences between Buddhist atheism and main stream atheism. I should be honest here, I do not follow or am I well studied in Buddhism, Taoism or any other ism or ideology; all my awareness comes to me through my own experiences. I should also say that not all experiences are detected through the five senses with people like me either; many of our experiences are undetectable by the ego. Experiences come through awareness; you are just simply aware void of any ego expressions. How often do we become aware through no reason? This is pure awareness. A controlling ego on the other hand does quite the opposite; we can feel all the experiences we like and still know little and still be as unwise as ever. In saying this, it is important that our ego detects and becomes aware of some of these experiences, after all, all experiences are of the ego as well. If our ego is wise, the ego will learn from these experiences, if not wise, the ego simply won't learn, even after many centuries of learning and experiencing. So how does the ego become wise? It's not through experiences and/or knowledge, it's simply being aware of the controlling ways of the ego, after all, the ego is simply an unaware state of consciousness. A true teacher in my mind will teach awareness, not knowledge. Awareness; is not knowledge. As I have stated before in my posts, the reason for this is that knowledge is of motion where awareness is is of motionlessness. The ego often makes the mistake in deceiving us to believe awareness and knowledge are the same when their simply not. All motion is of the ego, this pure awareness in this state of neutrality is simply not of motion. 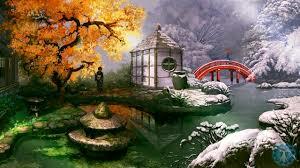 Now, the reason why this state of pure awareness is also known as nothingness, is to do with there being no motion and a state of total neutrality, this means yin and yang, negative and positive, bad and good, love and hate, etc, or neutralised, they become as one and not separated. Yin and yang are depicted as separate entities, when in their separate states, they are of the ego, however, when as one, they become this pure awareness, and yes, they are of one, this pure awareness, as they are also of two, pure ego. The ego has always existed, this of course means yin and yang has also always existed. Only the ego (motion) can create an ego, therefore the ego (yin and yang) has always existed. Also, this state of pure awareness couldn't create the ego for it is not of motion. Another thing to consider, all starting and ending points are creations of the ego, of time and space, it's the ego that creates everything as of the universe itself, it's all created by the ego. Everything has always existed, of course an ego in control simply can't comprehend this and understandably so, there has to be a starting point for the ego. However in saying all this, it is wise not to separate pure awareness from pure ego for this within itself is of the ego as of all separations are. As this state of pure awareness is of awareness, so is a state of pure ego no matter how limited the awareness might be in this state, it's still a form of awareness, at times usually of a state void of wisdom when the ego is in total control. It's wise to be aware that, negatives and positives, love and hate, bad and good, dark and light, yin and yang, are all of the ego, the more we separate everything, the more unaware we will become and of course the more destructive we will be......How obviously destructive is the light to the dark? Light should represents awareness but it simply doesn't in a world controlled by the ego, the light (awareness) simply shouldn't to be destructive to anything but it presently is being expressed in this way. Pure ego is simply destructive to everything, even eventually of itself, this is it's nemesis and it's nature. Pure awareness on the other hand is constructive to everything because everything is of awareness to one degree or another. It is also wise to stay away from the perceptions of higher and lower states or of an ultimate state of being, for all this depicts is pure ego as there is again a depiction of separation within these kinds of perceptions. At no point is this state of pure awareness and neutrality depicted, by the people who are truly aware of this state, as being an ultimate higher state of existence, it's just simply neutral, and yes to the ego, pure bliss and understandably so. an expression of awareness is clouded. awareness as of what it is of itself, ego!! 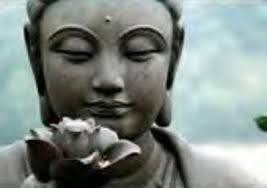 Buddhism relates all suffering to the ego as all suffering can only be created through the ego mind. Looking around our present environment today, it's difficult to refute this claim, however, this doesn't make the ego bad or negative, just simply unaware especially in regards to a controlling ego. As soon as we see the ego as being bad or negative in some way, this is a good indication of the ego mind in control. Simply look at the ego as an unaware state, state that is unaware of what it is apart of as a whole. Indeed, ego simply means a state of existence experienced that is unaware of it's own connection to all else, and the more controlling the ego mind is, the less aware a state of consciousness naturally becomes. I say natural because it's quite natural for an ego in control to be unaware, this is it's natural state, the trick is, the ego mind controlled by the ego, not just of the ego mind, won't want to see this state as being natural. What controlling ego desires to be of a natural state of unawareness? An ego in control will often deceive itself; this is why this state is naturally in a state of unawareness. 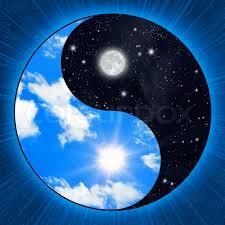 Yin and yang are good representations of the ego mind or ego self. In balance with each other, they are only of the ego, in imbalance, they are of the a controlling ego, One always trying to control the other while refuting that is it apart of the other or connected to the other in some way. For example, how often do the rich disconnect themselves from the poor? The controlling ego mind always tries to disconnect itself from the other; of course this disconnection naturally makes this kind of conscious state unaware for obvious reasons. Yin and yang working in perfect balance naturally creates awareness, this is because this balance creates a union of one working as one. Within this union, there is no yang or yin trying to control the other, in turn naturally creating a state of awareness. How often do we try to separate ourselves from duality and only see our truer being as a non-dual state of existence or being? Even though a non-dual state and a dual state of existence represents yin and yang, our controlling ego mind still only sees our truer being as being non-dualistic thus separation from the other has occurred. How aware is a non-dualistic state of a dualistic state? It's simply not, as soon as a non-dualistic state becomes aware of a dualistic state, it's become dualistic in nature. Simply, the ego in control deceives us to think we are non-dualistic when all the time we are dualistic in nature. In saying this, I do think we can enter into non-dualistic states which often give us the perception that we are of this non-dualistic state and not truly also of a dualistic state. As of yin and yang, one is of the other; all that the perception of separation creates is an unawareness that naturally creates suffering and destructiveness. I had an interesting conversation with a lass from Great Britain recently, I will finish off this post with this conversation. Fear should always be faced face on to see it for what it truly is, a hollow apparition/phantom. Fear to me is simply a consciousness's unawareness of what truly is. 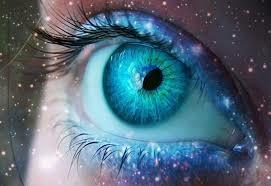 Only an unaware consciousness can be and create a reality of fear based perceptions. Sounds awfully familiar sadly enough, we simply don't have to be this way, we certainly have a choice in my mind. As like not perceiving/judging everything negative that is not of our own beliefs and perceptions, we should also try to see fear in a neutral light as our perceptions of fear being negative gives it it's control over us. This is why some people of love and light have gone way too far with love and light; everything else not of love and light is a negative. A true sense of love and light is to perceive everything as love and light, this simply isn't the case for most people it would seem. 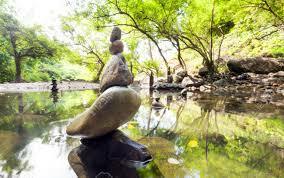 People like me are more for the middle ground with no extremes, a totally neutral reality where all things are truly created and treated as equals, a true sense of balance. No extremes of light and dark, love and hate, will bring balance, there is simply no equilibrium with to and fro actions and counteractions between love and light, hate and dark. Can love and light create a reality of love and light? For the individual or (a) collective consciousness, yes, most definitely, but it's still not a reality of a true sense of balance as each extreme reality creates it's opposite somewhere in the (whole) collective consciousness. To a lot of people of love and light, love has no opposite, even when the opposite of hate is love. It's like extracting the yang from the yin and still calling it balance between yin and yang while extracting the yang from the yin altogether, a lot of people are simply fooling themselves here. The reason for this, to me, is that these people have only gone part way in the awareness process, this one part of the awareness process feels good so this must be the be and end all. When you sit back from everything and observe it without bias, everything is neutral; this is until a consciousness perceives it otherwise, usually in retaliation to something the controlling ego doesn't desire like our present situation in the world for example. Sorry, you started me off again; some people just have a knack of getting it to flow with me. When I converse with someone else who is also neutral in one sense or another, this brings forth the neutrality within me. Just imagine if everyone was neutral, we just simply wouldn't have a problem in the world, we would reflect off each other beautifully in relative perfect balance. Everything just is. Duality is in fact the whole. Recently I have observed others talking about separation and encouraging others not to be divisive, which is a fundamental part of increasing consciousness. However, as you have so eloquently articulated, the end point is Love and Light for them. What they don't realise is that by not embracing the whole, the light, the dark, the shadow, the love - as One , then they are living a life of separation on another level. It is easy to write these words but a whole different matter living by these terms. Indeed, duality actually represents the whole. Imagine being of non-duality, an unawareness of the duality within the whole, how aware and whole are we then? In-effect, a non-dual state is all about separation and unawareness, separating itself from duality, the yang if you like. It's like being just of this light and love, how aware (enlightened) are you truly? You're simply not. It's good to see someone else who tries not to allow the controlling ego to control them; the ego desires one or the other as always. Think of a thing that is much greater, pure or aware to the point of infinite awareness, a point of origin that is beyond everything else that represents the ego. Now imagine this point of origin or zero point being minuscule, especially to the ego. It is that small that the ego often overlooks this point of origin, probably because the ego is unable to comprehend it to start with. Also, how could anything so minuscule be the origin of everything and be so powerful in relation to the ego? Considering that the ego has to perceive everything to be greater than what it is to be able to comprehend it's existence, it is quite understandable that this minuscule point of origin is either incomprehensible to the ego or is purposely overlooked by the ego, denounced of it's existence by the ego in other words. I wrote this a few days ago; I simply can't continue along these lines, this is way above our heads, even way above love and light or mind, body and soul. I wanted to say so much more on these lines, we are simply not ready, not when we treat things like love and light and mind body and soul as another God or another religion, a be and end all ideology. Love and light naturally comes to those who are truly becoming aware without extracting the so called negatives from the equation, from ourselves. Truly, imagine these negatives as a neutral entity rather than something to fear and denounce. In all, simply imagine touching this infinite point, this zero point, the essence within all things of creation with your finger, nothing more is needed, it's this simple. Supplement: Please avoid any so called teacher who makes you feel they are above you because of their experiences and/or knowing. I observed this once again, a teacher who puts themselves above all else. A true teacher will humble themselves to the observers of the teacher while teaching things way beyond the observers (students) comprehension and awareness. The best teachers are the one's that live through what they teach at the same time be what they are teaching too. Basically, a good teacher will experience and be the observer as well as the observed. In our case, this means being like a typical human while being observed by observers, the students. I recently had a good friend of ours that we haven't seen for awhile give us a visit. Before leaving, they asked me if I was happy, my reply was yes but that wasn't quite true. I'm sure they saw/felt through this. I've endured ongoing chronic pain since I was 6 years old, trying to stay happy and stress free is virtually impossible at times. Long term chronic pain simply plays havoc on the psyche, especially 47 years of it. On top of this, my right arm/shoulder has literally felt broken recently. Of course my arm has been broken since I was six but it's not often it feels actually broken, even while suffering chronic pain. I can usually work through the chronic pain and pretty much do as I like within reason, this hasn't been the case in recent days. My life has been a rollercoaster which has been made worse with being able to zone out in a harmonious state of consciousness, in saying this, if it wasn't for my ability to zone out, I simply wouldn't be here today. So when I am not happy, does this make me sad/unhappy? Not on your nelly, just because you are not happy at times doesn't mean you are sad. Nothing like neutral territory when physically and psychologically stressed out. Often psychologists will look for neutral territory for their clients, spirituality often does the same; meditation is but one example of this in my mind. I wrote a post knowing that this post is going to be controversial for some people, however, I received a few replies from people who could see exactly where I was coming from. I don't favour extremism of any kind, even the kind expressed by my own people. All extremisms create terrorism of one kind or another; this is pain we need not experience. We simply ignored the whispers and are now being yelled at. yes Mathew, it is all awful. There is a lot of sadness here and uncertainty. You are quite right about the background. I can't help thinking that governments need to at least begin to approach the problems with honesty and unselfish intentions. I wonder when they will stop looking backwards for solutions that don't work, and begin to look forwards for the benefit of the whole global family. humph! I certainly feel for everyone in the United Kingdom, this kind of thing just simply needn't happen. I wish human consciousness would simply grow up/evolve, it doesn't look good though, however in saying this, this kind of thing might just make us evolve in the end. Australia is right behind in terrorizing these people, I simply don't like it. I really hope you and your own are never directly affected by this kind of thing. Keep well and safe, surely this can't continue for too long. Growing up/evolving from infancy to adulthood usually entails a lot of pain at times of one kind or another. As I wrote a few years ago now, human consciousness is like an infant trying to evolve; it's going to go through growing processes. As of any consciousness growing up/evolving, it will at times through the process stop evolving, basically, stay child like. To me it simply doesn't want to grow up so there is going to be pain involved. I think the quote, "What is above is also below", is very apt. You can be loving without being aware but you can't become aware without being loving. Awareness simply creates love, the more aware we become, the more loving we will be. Spiritual awareness proves this, the more spiritually aware we become, the more loving we naturally become. This is very much like, the more of an adult we become, the more responsible we become; human consciousness seems to have simply stopped growing up, becoming aware, collectively. However, there are people who are still evolving, this simply means that human consciousness collectively hasn't stopped evolving completely, in actuality, our present conscious stagnation has influenced a lot of us to become more aware. There is an imbalance of too much irresponsibility and immaturity within the collective consciousness so some of us have naturally reacted to this. Jesus and Buddha in my mind were a reaction to the consciousness in their time. What is negative and what is positive? If something like this makes us more aware, is it altogether negative? I try to stay away from perceiving in negatives and positives, this kind of perceiving can be too bias. Because we have ignored the whispers, we are now being shouted at to become aware in my mind, this simply should not have been the case, we are simply acting and thinking too immaturely, too unaware to the extent of utter ignorance. PS. I am going to turn our interaction here into a post for my blog. Supplement: At no time am I bagging (Criticising sarcastically) any culture or people of a country in what I write at times, as of always, telling the truth will, sadly, always make you more enemies than friends. We simply don't like becoming aware of anything unbecoming about ourselves and our culture; we would rather point the finger at other people/cultures than ourselves and our own. I am simply for peace and harmony, the truth, brought about by awareness and wisdom, supports this kind of truth. There is however another kind of truth, a truth that comes from knowledge and intelligence, this kind of truth noticeably doesn't support peace and harmony. In my mind, any knowledge or intelligence not supported by wisdom isn't truth but a desired truth rather than actual truth. Also, awareness and wisdom isn't motion, however, the truth that awareness and wisdom creates is of motion, only because there is also untruths. It's these untruths or truths that are not of the whole truth that creates motion. At present, the Delai Lama is a prime example of awareness and wisdom not being of motion. As I wrote in my last post about empath's and empathic, there is a difference between being an empath and empathic, however, one can be an empath and empathic as well. Most often this is the case due to our conditioning which means that our environment as a whole will condition us to feel and think in a certain ways. Basically, being empathic as well means that our environment will condition us in certain ways which will influence the way we feel and think. Being primarily an empath is different to being also empathic or just simply empathic. Being an empath is primarily to do with vibrations with no emotional involvement where's being empathic is all to do with emotional involvement. A good example of this is my reactions to what has occurred in London recently, my reactions are totally empathic because I am emotionally involved to the point in writing a post about this occurrence, however. When I bypass the emotions involved in incidences or occurrences like this, I then become the empath, a person who is no longer emotionally involved to the point of just pointing the finger at one cause of the problem, the point of the problem being religious extremism in this case. How many of us have just pointed the finger at religious extremism being the problem here due to being also empathic? How many of us primarily look at our own governments as being the primary source of extremism today? Because of our empathic feelings/biases, we only look and feel that the primary problem of extremism and terrorism is religiously based, in actuality we are conditioned to think like this so that we don't become aware or feel the real root cause of today's extremism and terrorism. No one joins an extremist group or starts up an extremist group for no reason, most of the times extremist groups are in retaliation to other forms of extremisms or terrorism. Extract: Given these complexities, the psychology of terrorism is marked more by theory and opinion than by good science, researchers admit. But a number of psychologists are starting to put together reliable data. They're finding it is generally more useful to view terrorism in terms of political and group dynamics and processes than individual ones, and that universal psychological principles—such as our subconscious fear of death and our desire for meaning and personal significance—may help to explain some aspects of terrorist actions and our reactions to them. Ask yourself, why is it that we have more terrorist acts acted out against Western people these days? Now ask yourself this, why has the destabilisation by the coalition forces of the Middle East resulted in more terrorist acts? When you have been abused and have had your country pilfered by another culture for centuries, what would the result be of a people psychologically and spiritually? Now, how many empaths, who are also empathic, feel the vibrations of what is truly going on in the world today? Our empathic feelings are based on the conditioning of our environment, we then allow this conditioning to influence how we pick up on other people's vibrations, especially other groups of people who seem to be extremist in nature. Now, it might be said that I have no idea how an empath picks up on the vibrations within the environment around them. I was once at a point that I picked up on the vibrations of the victim and the perpetrator in a number of crimes that actually occurred, I always felt what the victim was feeling first, at no time did this influence me in the way I also picked up on the perpetrators vibrations. In saying this, I was often emotionally sickened by the vibrations expressed by the perpetrators; these emotional feelings at no time stop me from really feeling the person was behind the perpetrator. This is of course in line with the people behind the terrorist acts and the reason these people are the way they are today. Too often can empaths with empathic feelings feel in accordance with their conditionings and go no further. The reason I know this isn't just to do with my own observations but in how many empaths have judged people like me incorrectly. I have had a chronic injury since I was six years old, in conjunction with the rest of my early years that were quite turbulent, especially family wise, my own vibrations can seem discordant to some people not aware or wise enough to know any better. This again is very much inline with extremists if you like, were empaths only feel the extremist vibrations, not the real vibrations behind the extremism!! I however have had certain empaths who have felt beyond the boundaries of these kinds of conditionings but this is very rare. It's actually not the empath side of us that is influenced by the conditionings of our environment; it is always the empathic side of us that is influenced in this way. This is because the empath will feel vibrations void of bad or good, negative or positive, black or white; there is no bias or partiality involved. On the other hand, it is wise to be aware that there is always partiality involved in empathic emotions, especially when we prefer not to be aware or accepting of this. Yes, people like me express empathy but we do it knowing that our empathic emotions can influence in a bias way, giving us a false representation of the vibrations we pick up on. The following empath test to find out if you are an empath or not is just for fun, please do not take it seriously. The following post of mine will most likely be of interest to empaths and empathics alike. As I will explain with the assistance of a number of external sources, there is a big difference between being an empath and empathic, however, most often these two instinctive different qualities are used in conjunction with the other. There is indeed a big difference between being emphatic and an empath as an article I have inserted the link to will explain further. Basically, empathic refers to feelings based on the psychical side of things, however, being an empath refers to the clairesentient side of things. Clairsentience, which means clear sensing, is the ability to feel the present, past or future physical and emotional states of others, without the use of the normal five senses. Psychics who are clairsentient are able to retrieve information from houses, public buildings and outside areas. Is empathy a feeling or an emotion? What does it mean to be an empathic person? As I did, I hope you find the following article interesting. Extract: Empath is another term for clairsentient. With that, we’re moving from the world of psychology to the world of spiritual healing. An estimated 2-4% of the population is clairsentient (I suspect those numbers may be much lower, but that is a separate discussion) and about 15-20% of the population is HSP. An empath that is not empathic will not become emotionally involved or upset by what they feel or psychically become aware of through extrasensory perception (ESP). In a true sense, a true empath will not become emotionally involved or upset by what they feel and become aware of. In the case of a true empath that is also not being empathic, being an empath is more to do with awareness than feelings, of course being empathic is more to do with feelings than actual awareness. A person who is also being an empath as well as empathic, will be influenced by bias. Let's be truthful here, emotions are based on a bias in accordance with the emotions being expressed, the more emotions expressed, the more bias our perceptions will become, a true empath doesn't have this problem with bias. However in saying this, there is always a certain amount of emotions involved in being a true empath, in the case of a true empath though, the bias involved is irrelevant as it has little or no bearing on what is being projected through ESP. Usually clairvoyants are emotionally detached where psychics are more emotionally attached, however at times psychics are detached, this is basically when a psychic becomes clairvoyant, emotionally detached to a degree. In my numerous years of observation, often have I observed people who are empaths and empathic often judge other people and situations, through their feelings, in accordance with the bias being expressed through their empathic feelings. They will feel someone's anger, distress or hate, and judge only in accordance with these feelings. They often go no further to become aware of the situation that has created these feelings and the real person behind these feelings. I have observed insurmountable times where other people have been judged in this way by empaths who are also empathic, in actuality, most often these people are more empathic than being an empath. Simply, feelings are not a true sense of awareness, they are only an awareness of the feelings involved. Of course feelings are a bias in what we become aware of or not, they are not of a whole truth but of part truths only. Two weeks before the Challenger space shuttle disaster in 1986, I could feel that the space shuttle Challenger was going to disintegrate in flight. As the disaster came closer to fruition, I could feel the anguish of the people involved, the closer the disaster came, the more anguish I could feel. The feelings I felt were simply horrifying to say the least. In this case, the feelings were more of an awareness of a coming disaster as I could feel other people's feelings in a future event. Feelings can indeed play a part in an empaths life, however, it is wise to be aware that our empathic feelings can and often do give us false depictions of other people and situations. I simply feel for empaths who are more empathic than just simply being an empath. It's not a good space to be in but being aware of the difference between an empath and being empathic can assist you, but only if you have a need to be honest with yourself. Note: I think it is worth reading the article supplied in this post, especially if you are an empath struggling with your emotional feelings.